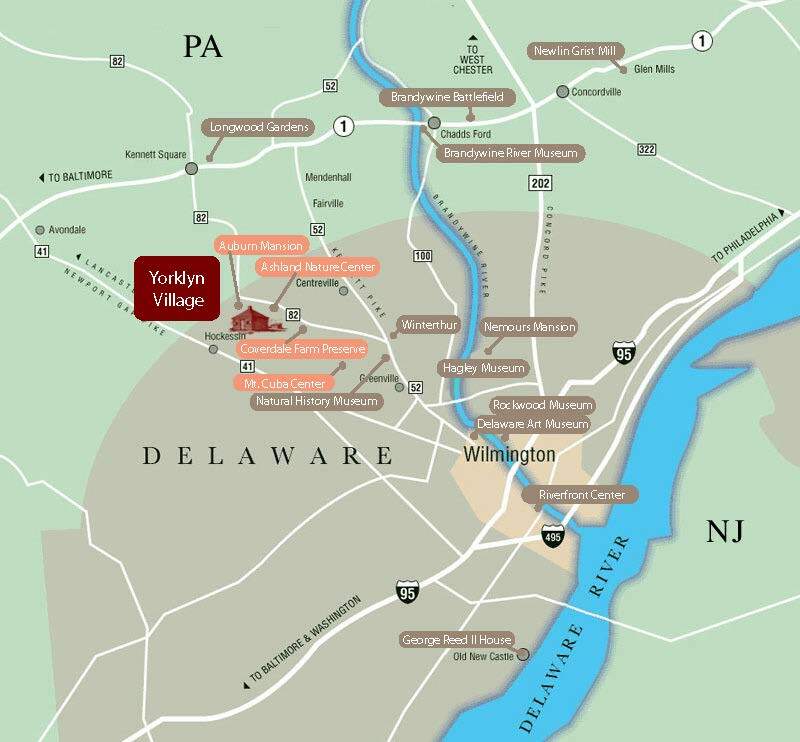 Nestled along the Red Clay Creek in the northwestern corner of Delaware, Yorklyn lies within the scenic countryside of the Brandywine Valley. Our site is adjacent to hundreds of acres of state owned wildlife habitats, educational preserves, and conservation easements. Yorklyn is within minutes of world-class mansions, gardens and museums - including Longwood Gardens, Winterthur, Nemours Mansion & Gardens, Hagley Museum, and the Brandywine River Museum. The tracks of the Wilmington & Western Railroad, one of Delaware’s leading tourist attractions, run through Yorklyn. Nearby is the Auburn Mansion and Marshall Steam Car Museum which houses the world’s largest collection of steam automobiles. On the map above, click on a destination to learn more of each attraction.